Dr. Ralph Bastian can design a customized, high-quality acrylic night guard for your mouth. By separating the teeth and providing a smooth surface, muscle spasms, pain and TMJ pain can be reduced. Our patients are taught how to wear, clean and maintain their night guard. Why invest in a sports guard? A lot of team sports mandate the use of mouth guards. Not only does this ensure that your teeth are kept safe during contact sports and other sports that are prone to injuries, but it can also help prevent a concussion. Whether your sports team requires that you wear a sports guard or not, the responsible thing to do is invest in a custom fabricated mouth guard that you can wear whenever you are on the field. The guard material helps absorb impacts and spread the force over a larger area. A popping or clicking sound when you open or close your mouth. Many dentists prescribe night guards for people who suffer from TMJ disorder. 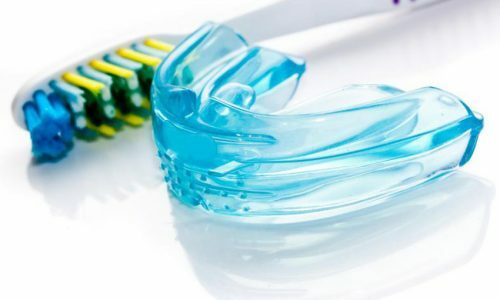 At Dr. Ralph Bastian’s dental practice, our skilled team of dental practitioners can create a customized mouth guard that you can fit over your teeth while you sleep. In certain cases, day appliances can also be created to counteract behaviors that TMJ disorder suffers are unknowingly doing during the day. Other TMJ treatments that we offer include TMJ-occlusal adjustments to create a more balanced bite in a patient’s mouth. Often, these adjustments can reduce soreness and discomfort. This treatment can also include the fitting of a removable dental splint that encourages your jaw muscles to reposition the jaw to where it will naturally function. Contact Dr. Ralph Bastian to find out more about night guards, sports guards & TMJ treatments today.